How many of us in this great country of ours can say, we have a national park in our backyard. Well, you’re in luck because we do! It’s called ‘The Dayton Aviation Heritage National Historical Park’ and is what The National Park Service calls a ‘scattered sight’ park, made up of many components all over the valley. The aviation part is of course about the Wright Brothers. The ‘heritage’ refers to Dayton’s own world renowned poet Paul Lawrence Dunbar. Orville, Wilbur and Paul are all connected as they worked, lived and did business with each other way back when. 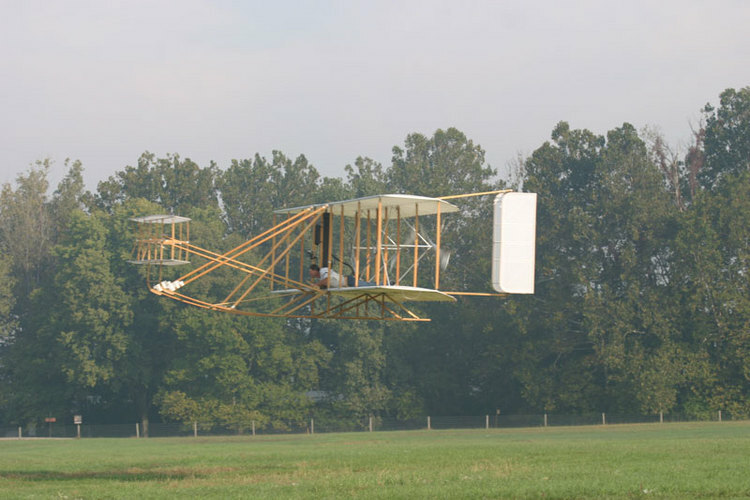 But one of the coolest ‘scattered sights’ is where the Wright boys practiced and perfected their flying machine. 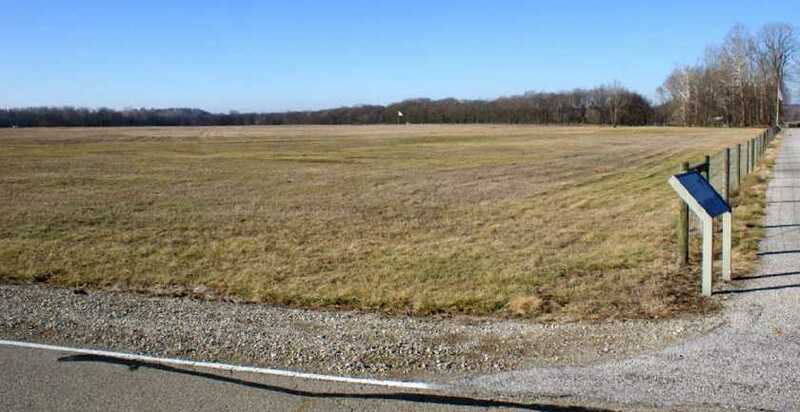 It’s called the Huffman Prairie Flying Field, the world’s first airport if you will, sans the long lines and lost luggage. The flying field is actually part of Wright-Patterson Air Force Base, but thanks to a unique partnership, the base grants access to the public and how lucky we are. Last time I paid a visit was late last summer, it was a hot day and the flags marking the perimeters were flapping in the breeze. You could almost transport yourself back in time, watching Wilbur and Orville coming off the old traction line (which was sort of a streetcar that ran between Dayton and Springfield. You can see an old traction car at Carillon Park.) and setting up camp with a makeshift hanger, opening the big doors and gingerly rolling out and placing their flying machine on its catapult launch system. Wow, the looks they received from neighbors and the curious must have been priceless, not to mention the cows that held court in the pasture nearby. But there’s plenty to see and experience on the grounds where they actually flew. Markers and plaques throughout the area tell the Wrights story post Kittyhawk. Yes, they flew in North Carolina for the first time in 1903, but for the most part it was in a straight line and only for a few seconds. 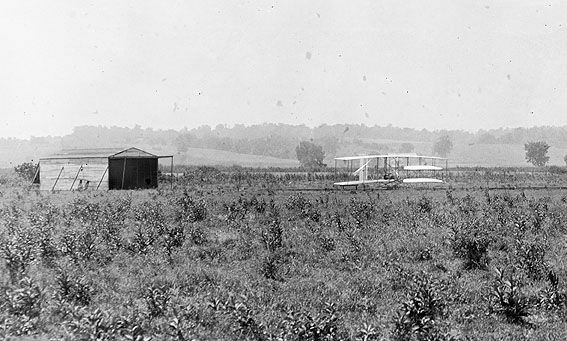 But here the brothers’ Wright continued their flying experiments on this cow pasture in 1904 and 1905, perfecting their machine and building the world&apos;s first practical airplane. Yes, this is where it all began. Check back here often as I and good friend Charlie Campbell ‘blog’ about the wonderful amenities we have here in our own backyard. In the meantime, for more on our awesome National Park visit www.nps.gov/daav and happy flying! 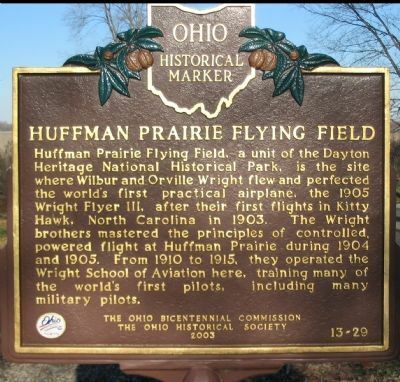 Please note: The Dayton CVB has compensated me to share my thoughts on Huffman Prairie Flying Field.